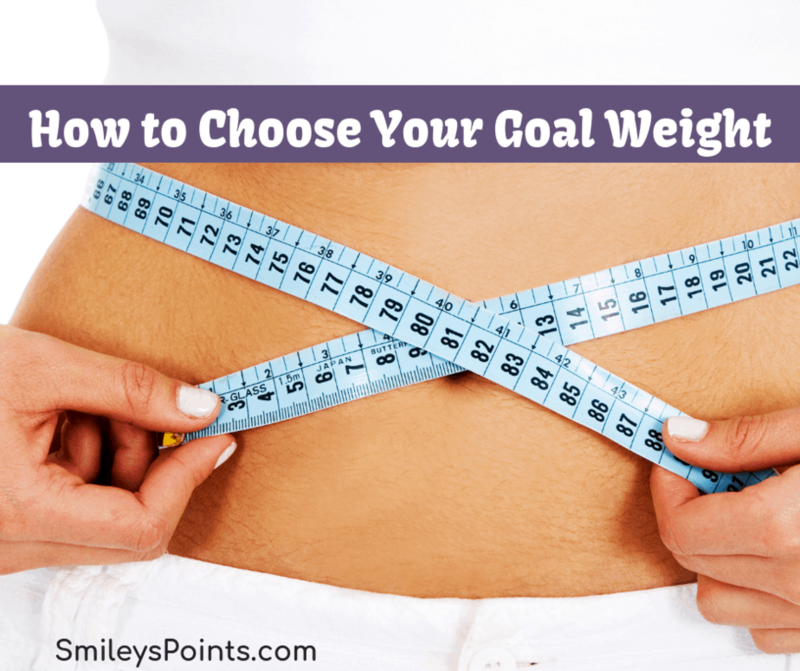 Weight Watchers will tell you what your goal weight is, but you can choose a different number if you prefer. WooHoo! 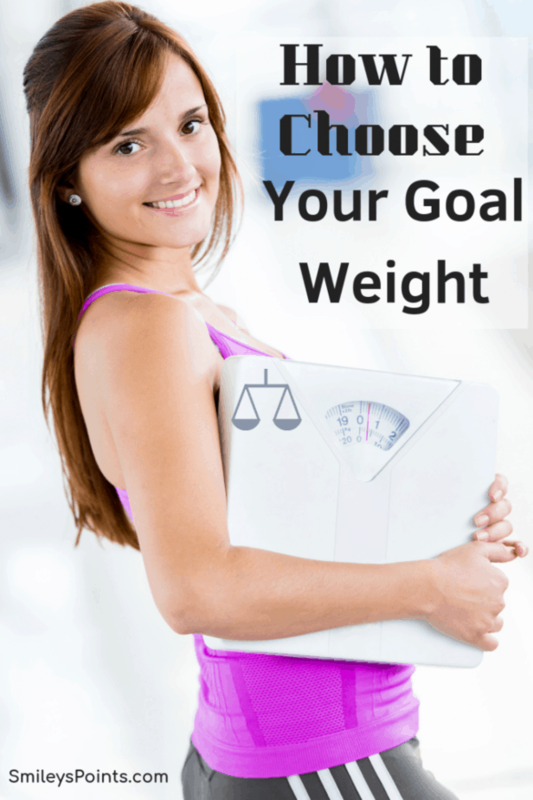 You can choose a goal weight that fits where you want to be. This should be where you feel comfortable in your skin. The number or goal weight that the Weight Watchers program comes up with can be used as a guide but only you know your body and what weight you want to be. Don’t be unrealistic when choosing a goal weight, but you also don’t want to be too easy on yourself. Your goal should be challenging but achievable. An achievable goal is one that you can manage and maintain for the long term. Ultimately, you want your goal weight to last more than a few months. Okay, so how do you choose what your goal weight will be? Well, there are a few factors to consider. The BMI is a commonly used standard for healthy weight ranges. While this is not always the perfect weight, it is a good place to begin. To calculate your BMI, you can use an online BMI calculator. This will give you a weight range for your age and height. How do you feel at your current weight? Are you feeling overall healthy but want to be a bit more toned? Are you obese and know you need to be closer to that BMI range? What is your height? The BMI calculation has some limitations but it is a great starting point. It will let you know if you are at a normal weight or if you are overweight or underweight. Do you have a lot of muscle? The BMI chart is often inaccurate for those who have a very muscular build. Remember that this journey is not just about a number on the scale but about the entire physical health experience. What is your age? The older you are, the more your BMI results may change. Older women tend to be less muscular and thinner, so you may personally feel better with a little extra weight or on the higher end of the BMI range as you age. Now to decide what your goal is. Do you want to be slim? Do you want to be fit? Do you want to be muscular? To decide what your goal weight you have to decide what you want your body to look like. This will also determine the type of exercise program you use to reach your goals. Rather than picking one magic number, aim for a reasonable range of up to 5 pounds. Having a goal weight that you have been at before helps your mind grasp that it’s possible for you to get there again. Just remember that as you age your body shape changes. The size and look of your body as a teenager will be vastly different than that of an adult, and this is normal. Considering your past appearance doesn’t make you negative and it doesn’t mean that you’re limiting yourself based on your past either. Rather, it shows that you care about your well-being by making sure the goal weight you choose will challenge you. Just don’t allow this to overwhelm you. If you have a large amount to lose, it is important to set your sights on losing just 5%-10% of your body weight. Divide this into even small weekly goals so you don’t become overwhelmed. These small losses are easier to sustain and still come with big health benefits! Jot down three numbers: your highest-ever weight, your lowest-ever weight, and the number in between, where the scale seems to land when you’re eating healthily, but not obsessively so. Where does your body naturally fall when you’re just an average, healthy person—even if it was 20 years ago? We all have those moments where the scale just does not seem to move. These can be plateaus, but they can also mean that your body composition is changing. An example of this is when your body shape is changing due to exercise. You may not be losing weight but you are losing inches and toning up muscles. Why do we look at these things? Well first, because there’ll be weeks that you don’t lose weight or inches. You might even gain, and having an alternate measure of success can help you stay on course instead of quitting because of the perceived setback. If the difference between your goal weight and your current weight is more than 5 lbs, I suggest breaking it down into milestones. Doing so helps you feel less overwhelmed about the goal you have in front of you. Your goal weight is not a random number. Your goal weight should reflect who you are, what you want to achieve and what you are willing to do to get there. Now pick a reasonable goal weight, get out there, drink lots of water, exercise, and do whatever it takes to reach your goal weight. Don’t give up. Don’t miss more of our tips for your health journey! Should I Eat My Weekly Weight Watchers Points?